Bolide Software is launching a new version of All My Movies, which introduces a new interface design - the virtual shelves with DVD cases. Now users can browse through the movie collection more intuitively. Bolide Software today announces the availability of All My Movies 5.4, the newest version of the popular movie organizer to help Windows users create a digital version of their movie collection and keep better track of DVD, CD disks and VHS cassettes. Unique to this version is a radically redesigned interface, which displays the database as DVD, CD and VHS tapes, arranged on the virtual shelves. To find a movie, users browse through the shelves with the mouse in much the same way as they would do it in the physical world. "The idea behind the virtual shelves is to make browsing through the movie database more intuitive", says Max Smirnov, author of All My Movies. "Most movie management applications display database records as a flat, two-dimensional list, which is not quite intuitive in terms of human perception. The virtual shelves in our movie manager look real and make the browsing experience more natural. Now there's no need to scroll the list, just use the mouse to browse through the shelves, view DVD and choose the one you like." All My Movies allows computer users to keep track of a large collection of movies, lend disks to friends and never forget to take them back, move the collection to the Web, or a mobile device. Adding a new DVD is a snap. The user puts a disk into the optical disk drive and the movie manager scans the film into the database, downloading all relevant information from the Internet. This includes the author, summary, cast, high-resolution pictures of the cover and many other details. There are also other ways to add a movie. For example, the user can scan the UPC or EAN barcode, or enter it by hand, which some people will also find convenient as there's no need to buy a scanner. To find a movie, the user can simply browse through the virtual shelves. Clicking on any item brings up the detailed information about the film. Quick filters will help to sort the collection by different criteria, such as title, director, year, genre, and actor. Browsing through the shelves is particularly useful when the database is not large, when the user wants to review the entire collection, film by film, or when he does not know what to search. To search for a particular movie, one can rely on the movie search box. Similar to Windows Vista desktop search, it displays the titles of the relevant movies instantly as the user starts typing the first letters into the search box. The movie collection can be exported to many formats, including PDF, HTML, TXT, Microsoft Excel and then edited in other applications, published on the blog, or loaded into a mobile device, such as PDA or smart phone. The DVD database software like All My Movies can benefit home users who can inventory their collection of movies without the need to rely on memory, paper and pen. Once the database is made, it'll be a snap to find out where a particular disk is. Those, who own DVD rentals, can use it to create a database of disks and track loaned items. Available now, All My Movies 5.4 costs $39.95. There is a 30-day trial version available. Bolide Software is a provider of multimedia products and software for collectors and hobbyists. Founded in 2003 by Max Smirnoff, Bolide Software has launched several successful projects, including All My Books, Audio Comparer, and Image Comparer. 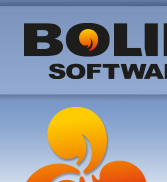 For more information, please visit https://www.bolidesoft.com.